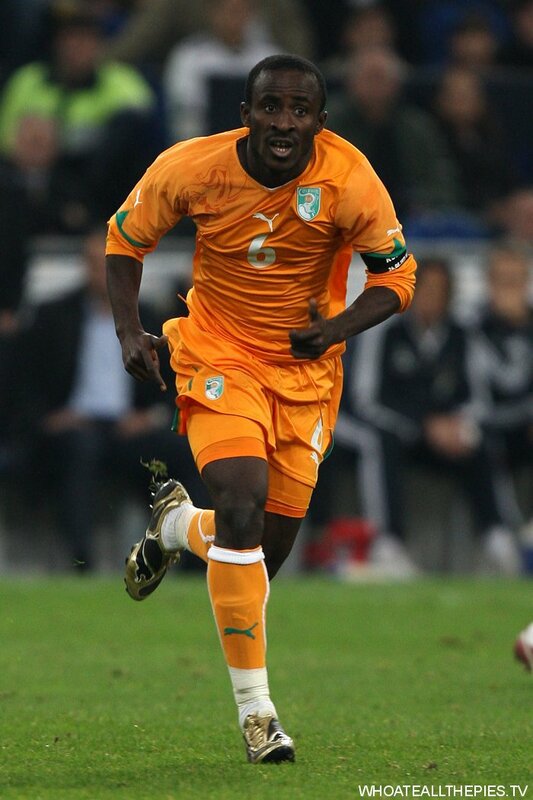 SEYDOU DOUMBIA, IVORY COAST, 22 - Doumbia excelled at Young Boys of Bern, scoring for fun. He's very powerful, very quick and very skilful - and boy, he knows where the goal is. He's off to CSKA Moscow next season, but wouldn't look out of place in the Premier League either. Hey Ollie what about Afelly for the Netherlands? Search him on youtube and also Elia for the dutch. Di Maria has a football brain?I`m not sure. Personally, I’m hoping we see a bit of Denmark’s 18-year-old whizzkid Christian Eriksen at SA2010. Anyone who comes so highly rated by Dennis Bergkamp must be a bit special. marek hamsik will rule !! I’m really looking forward to see van der View at the World Cup. Haven’t seen much of him in action, but I liked what I saw. Uruguay have lots of young guns i expect to do well. Cavani, Suarez and Lodeiro have a lot of potential…. Rafael Van Der Vaart mentioned in an interview once that Gregory Van Der Wiel would be one of the Dutch players to watch at the WC. He’s destined to go to a big European club question is when. Ozil, gifted little player, could become a star of the WC, he’s Germany’s creative spark. Di Maria, liked what I saw of him at the Olympics. One of them wingers with a magical left foot. Argentina’s Robben perhaps. I think Luis Suarez of Uruguay (& Ajax) could’ve made the list. I think he won the European Golden Boot this season. You missed Javier Pastore of Argentina, one of the best Serie A players last season. Affelay’s 24, not THAT young in football terms. Good choice with Van Der Wiel, he showed his class with a stunning ball on VD Vaart against Ghana the other day. And yeah Eriksen, Suarez and Lodeiro are class. Lot of Ajax kids to look out for, surprise surprise. what about thomas muller? he had an excellent season at bayern. i’m looking forward to seeing him at the world cup. germany has a habit of producing some younger players that tend to do well in international competititions (e.g., podolski, schweinsteiger). ‘Chicharito’ Hernandez could not have picked a better time to shine; his performance with then-club CD Guadalajara & Mexico elevated him to New National Hero status. he’s got a lot of hype to live up to, but can surely pull it off in South Africa. helps to have fellow youngsters Giovani Dos Santos & Carlos Vela up top in Mexico’s attack, too. It would seem that Chile will make good progress in the tourment as I have chosen the young Alexis Sanchez as one of the youngster who will make a good impression. My second and only other choice is Michael Bradley of the USA. Having said that, my national team, England, will have some extra work to do next Saturday. I’m a benfica supporter and believe me, Di Maria has as much of a brain as a right foot, which is to say, he’s brainless. Just mind the quick-as-hell left foot of his. Gregory van der wiel has discipline problems? Wtf are you talking about? The guy only had a twitter page where he mentioned that he went to a concert in a period when he was injured. People told ‘m to approach this kind of stuff differently. I have to disagree on choosing Michael Bradley for the US. He’s more likely to get red-carded than have a breakout world cup imo. I think there’s plenty of nepotism there as we haven’t seen any midfield combo that doesn’t involve him. I think Stuart Holden is the guy most likely to make a splash for us. If I had even the slightest fondness for either of our jerseys, I’d get one with Holden on the back. I am here in SA and watching the WC. Gotta say that even though I am yet to see Holland play (just now in fact, I am EXTREMELY impressed with what I saw in the 2 German youngsters Samir Khedira and Mettu Ozil. Ozil is especially gifted. As for the Dutch contingent….when have the dutch NOT prepared players for greatness? Beside Ozil, in the list, i’m highly interested in MAREK HAMSIK. I think i’m his fan now. He’s really good. The rest of the list… i’m not really interested. Out of the list, I’ll pick Jung Sung-Ryong Of South Korea. He’s a clever goalkeeper. But I didn’t understand him in the match against Argentina. why javier pastore did not show up. i think he is the only one who can do the same work as xavi in Argentina. though he has a long way to go.